Tatyana Guerra is a undergraduate freshman who attends John Jay College of Criminal Justice. As a Latin@ of Puerto Rican and Ecuadorian heritage, she is focusing her studies in Gender Studies. She enjoys and appreciates artworks of various artists, her favorite being Banksy. Throughout this website, she will explore Bansky's art and discuss the importance of social issues portrayed through his art. Noely Gonzalez is an undergraduate freshman and is studying for a Bachelor of Arts in International Criminal Justice at John Jay College of Criminal Justice. A Latin@ of Dominican background, she cares about seeking justice internationally. As she explores Scott Langley's work, you will not only get a sense of what social justice is, but you will learn about Noely, and her definition of social justice. 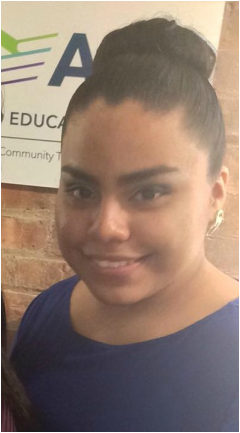 Brenda Almaraz is an undergraduate student at John Jay College of Criminal Justice and is currently getting a Bachelor of Arts in Latin American and Latina/o Studies and Anthropology. As a Latin@ of Mexican heritage, she connects with the band Las Cafeteras. She interprets and analyzes the uniqueness of their rhythms, beats, and lyrics that make up their music.